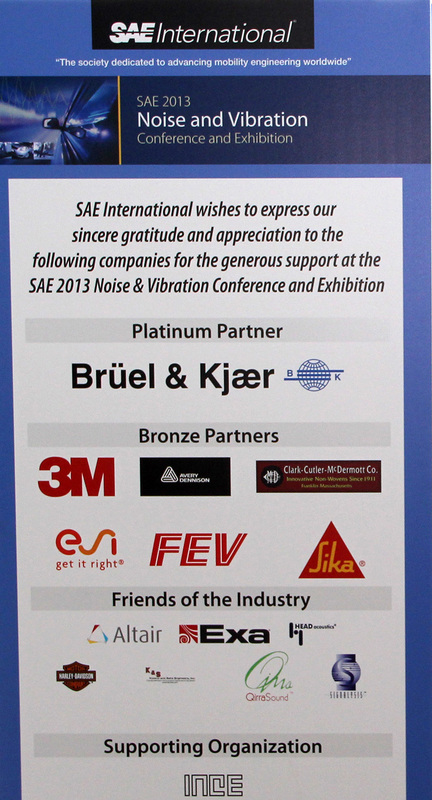 Society of Automotive Engineering (SAE) organizes a biennial international conference on sound, vibration, “noise” and other automotive technology. This scientific area are often referred to as NVH (Noise, Vibration and Harshness). The conference also features a session on the topic “Sound Quality”. Qirra Sound handled the sound for this session as well and many commented on the excellent sound quality. Only 2 +2 speakers and a subwoofer was and could still handle this great hall in regards to both depth and breadth. Thomas Lagö has served the Board for more than 14 years. He is chairman of several sessions but also organize a “workshop” on the theme of “sound and vibration analysis.” Thomas Lagö handled the sound.